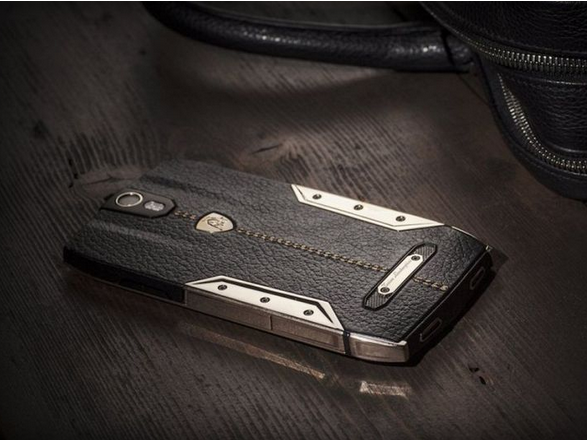 The new Tonino Lamborghini 88 Tauri is a luxury Android smartphone priced at $6,000. The extravagant handset is powered by a Qualcomm Snapdragon 801. New high-end smartphones such as the Samsung Galaxy Note 4 (see full review) or the Apple iPhone 6 (see full review) are priced between $600 and $900 unlocked, a price that many find to be very expensive. However, if smartphones priced below $1000 are too mainstream for your liking, you might want to check out the new 88 Tauri from Tonino Lamborghini, a luxury smartphone priced at no less than $6,000. The 88 Tauri features a case that is made out of a combination of steel and leather, and handset also has the well-known Lamborghini emblem engraved on both the front and the back. According to the manufacturer, the 88 Tauri will rely on Android as the operating system, but at the moment we don't know the exact version. Many luxury smartphones come with mediocre technical specifications despite their very high prices, but that's not the case with the Tonino Lamborghini 88 Tauri. With hardware such as a 5-inch fullHD display, a Qualcomm Snapdragon 801 chipset (2.3GHz quad-core Krait 400 CPU, Adreno 330 GPU), 3GB of RAM, and 32GB of integrated storage space, the 88 Tauri can at least compete with some of the mid-2015 flagship smartphones such as the much more affordable Samsung Galaxy S5. The 88 Tauri by Tonino Lamborghini will be released before the end of the year. Since this product addresses a very particular niche, we weren't surprised to find out that the 88 Tauri will be a limited-edition smartphone. The company will make only 1947 units.